A portable building can answer many needs in today’s world – both business and personal. They offer the stability and functionality of typical brick and mortar buildings and allow businesses to expand or families to settle down. They also provide an inexpensive option in the otherwise expensive industry of construction and the opportunity to relocate without purchasing another building in a new place. For businesses and families, portable buildings are innovative and flexible and can meet the needs of practically any situation. In today’s world, portable offices are everywhere, fulfilling needs on every part of the building spectrum. Schools and businesses alike find them to be affordable and easy answers to overcrowding and increasing numbers of employees and other staff members. For example, a school that needs extra room for a growing population but that does not have the funds or time for a full-blown expansion can opt to use these versatile prebuilt buildings instead. They can be used as extra classrooms, storage space or offices, saving the school district a hefty sum while avoiding closing a school or other building for renovations. Purchasing one of our modular buildings is also a great way to try different locations for a business before choosing one in which to settle permanently, alleviating the stress, time and monetary drain that come with finding a site, finding a contractor, and waiting on weather and other uncontrollable factors that can delay work on a building. It also eliminates the concern of choosing the wrong site, because if the chosen location proves to be unprofitable, our prebuilt buildings can be moved. Prebuilt portable building offices are also convenient for determining the best layout of a business before committing to a design that may not work for the flow of traffic once operations get underway. Multiple arrangements can be tried before a final decision is made. Storage is a problem faced by many businesses, and our portable buildings can solve it. Panel kits are quick to set up and do not take up too much space, making them convenient for storage applications. These buildings can also be used as rental spaces, either initially or after they have fulfilled a temporary need. By renting out these structures, a business can increase profit margins and expand business applications. 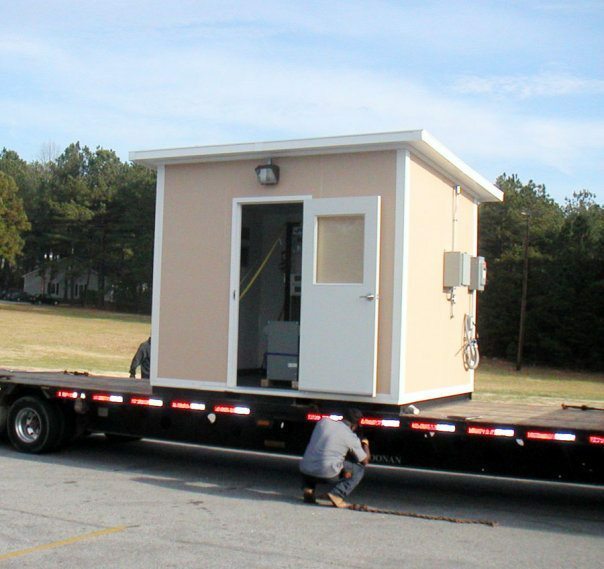 These portable panel buildings can essentially pay for themselves multiple times when rented out. Some may worry that portable building panel kits will not last very long; somehow the idea that they are portable becomes interchangeable with the idea that they are low quality. This is not the case with our buildings. Panel Built’s buildings are engineered by professionals with experience in their fields. Our buildings are not only low-cost, but also durable. They are designed to withstand regular weather conditions, just as stick built structures, and they are made from quality materials. These buildings will stand up to a range of environments and will continue to provide the functions for which they were purchased. While our panel buildings are great solutions for multiple needs of businesses, they can be used for many other projects as well. Any time there is a need for more space, our structures can do the job. With more and more regularity, families want to use these buildings as residences. Some have purchased a plot of land and want to use our buildings as a home on their chosen site. Panel Built structures can be quickly assembled, allowing families to move in speedily and avoid delays that so commonly beset other construction efforts. Because our buildings are customizable, they are a great solution for families who want a distinctive design. And, because they offer removable outer panels, they are ideal for growing families who may want more space at a later date. As anyone who has ever priced building construction knows, erecting a brick and mortar structure can be quite costly, often to the point where a family simply cannot afford it, however badly they may need the extra space. With our portable building panel kits, we can help those families find an affordable solution to their needs. Our buildings remain high quality, but without the high price tag. Because our buildings are designed to be portable, they are also perfect for hosting events that may change locations. Horse shows, carnivals, concerts and a variety of other enterprises all benefit from using portable buildings for their operations. They are easily set up, easily taken apart and easily relocated. For every need, there is a Panel Built solution. Portable buildings are great innovations for all kinds of expansion ventures in today’s world. 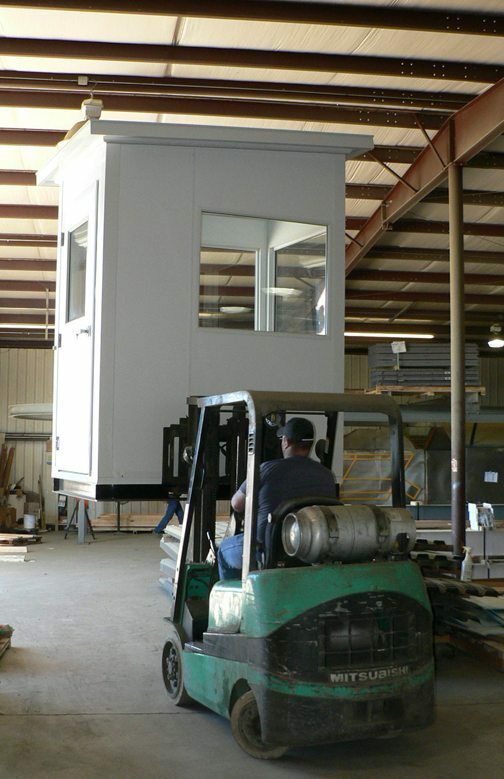 Whether a location is remote, relocation is a requirement or a permanent structure is desired, at Panel Built, Inc., we have a variety of panel kits that will meet any specifications. We have the best portable building panel kits online and can help businesses and families alike to choose the best option for their desires. As a family-owned business, we stake our reputation on every job, and we guarantee our work. Prepare to have questions answered, needs fulfilled and dreams realized with our portable building solutions. Choose the best people for the job at hand, and choose Panel Built, Inc.